Woods’ final book examines the history of New Orleans and explains in unflinching detail how and why Black lives were considered disposable. Written in dialogue with social movements, this book offers tools for comprehending the racist dynamics of US culture and economy. Following his landmark study, Development Arrested: The Blues and Plantation Power in the Mississippi Delta (Verso, 2017 / 1998), Woods turns to organic intellectuals, Blues musicians, and poor and working people to instruct readers in this future-oriented history of struggle. Through this unique optic, Woods delineates a history, methodology, and epistemology to grasp alternative visions of development. As well as Laura Pulido (University of Oregon) and Jordan Camp (Barnard College), the session brought together Treva Ellison (Dartmouth College), Anne Bonds (University of Wisconsin-Milwaukee), and Willie Wright (Florida State University) to reflect on and celebrate Clyde’s book and his remarkable contribution to critical scholarship and activism. Thanks to Willie, we can make available here edited transcripts of their presentations. 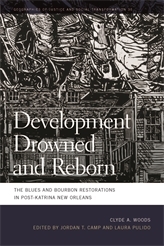 And thanks to Nik and the good people at the University of Georgia Press, we can also make available Laura and Jordan’s invaluable Introduction to Development Drowned and Reborn, “The Dialectics of Bourbonism and the Blues”. Both the essays and Introduction can be downloaded below. For more on Clyde Woods’ life and work, see the essays by Mark Campbell, Sue Ruddick, João Costa Vargas, Bobby Wilson, Mark Anthony Neal, and Edward Soja presented by Katherine McKittrick (Queen’s University) here at AntipodeFoundation.org in 2012. 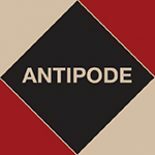 And graduate students should consider applying for the “Clyde Woods Black Geographies Specialty Group Graduate Student Paper Award”, which Antipode is proud to be working on with the AAG’s Black Geographies Specialty Group (BGSG). This entry was posted on 14 January 2019 by Antipode Editorial Office in Reviews and tagged African American working-class, black geographies, Black sense of place, Black working-class communities, Blues development tradition, blues epistemology, Bourbon bloc, Bourbonism, disaster capitalism, Hurricane Katrina, indigenous communities, Louisiana, New Orleans, plantation power, Post-Katrina New Orleans, the blues, the Mississippi Delta, urban redevelopment, urban underdevelopment, white supremacy.